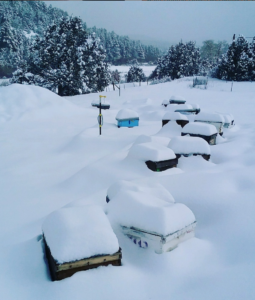 Conscientious Beekeeping: From the shores of Lake Superior to the banks of the Rio Grande…and beyond! The Zia Symbol represents life! The four directions on each side symbolize various stages of being. It is a symbol that encompasses all the passages of time that we experience as physical beings in a sacred space. Our commitment and recognition of the importance of place and purpose are what inspire our interactions. We are humbled to interact with such majestic beings and strive to be mindful caretakers of creation. We incorporate diverse genetics into our queen lines. Our breeding program focuses on selecting for longevity. Longevity is heritable and serves as an umbrella trait. This means that by giving bees time to diplay their full charaters and to demonstrate their OLM (Overall Lifetime Merit), we are able to follow their performance and test them through varied environments. 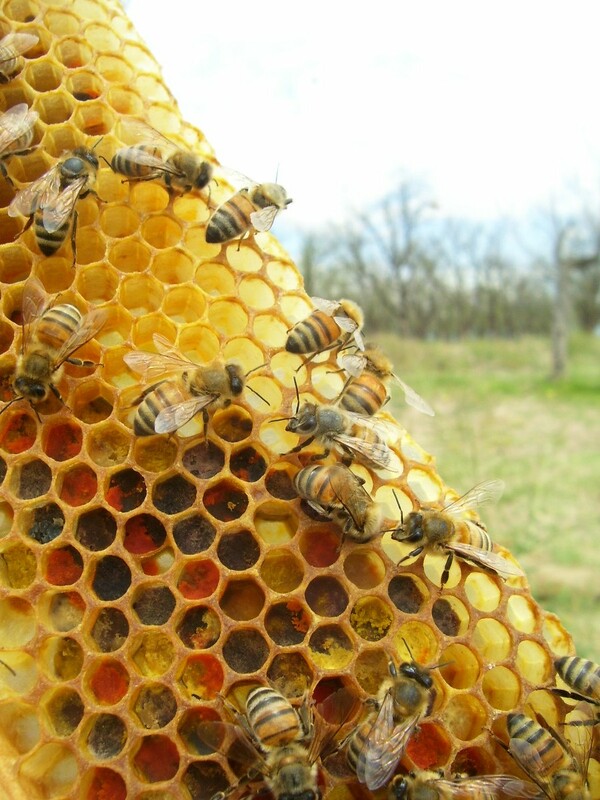 The umbrella trait of longevity includes: pest/disease resistance, overwintering ability, gentleness, hygienics, endurance, adaptability and production (honey stores). All of our Mother Breeders are minimum 2 years old. We have lines that go back to the year 2000 and are always on the lookout for long-lived queen (and their drones) genetics to incorporate into our mating apiaires. Our bees are cross-stocks and carry diverse genetics within a single hive to create an overlapping network of health. 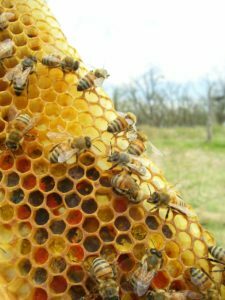 Research of promisciuous and polyandrous queens demonstrates that queens who mate with more drones of diverse genetics, are better accepted and develop enhanced hive fitness. Our base-lineage Mother Breeeders carry genetics from SMR/VSH Italian, Carniolan, and Caucasian heritage. Each season, we integrate new stock lines from additional queen breeders and beekeepers from across the nation. 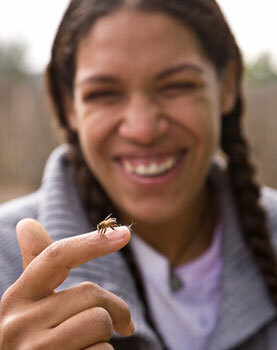 We are committed to sharing the highest quality bees and queens that have been chosen by Beekeepers for Beekeepers. We produce bees and queens starting in April through September. 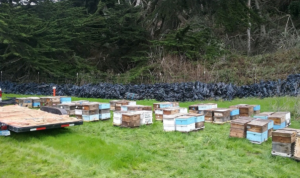 We produce our spring bees and queens with our brethren collaborators in NorCal on the lush Bay Peninsula Preserve between Santa Cruz and San Francisco. We call these bees our Zia-Wing Surf-ivors. These queens are bred from our high mountain NM breeder mothers mated with Wings of Nature developing surf-ivor stock drones. 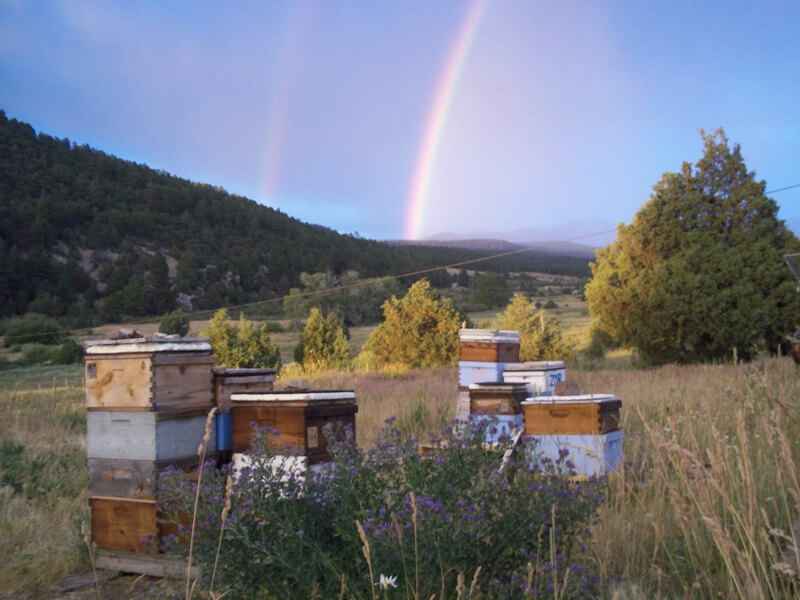 Our summer bees and queens are bred in the southern Rocky Mountains in little nooks and crannies of the Sangre de Cristo mountain range between Santa Fe and the Colorado border. 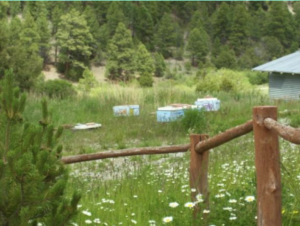 We offer spring package bees and nucleus hives in April and May. Summer months we dedicate to breeding our Enchanted Empress and LongeviBees Breeding Companions for queen producers, researchers and community programs. We do also offer queen cells for pick up (spring- CA; summer- NM) and virgin queens which can be shipped. For current pricing & availability, see Hive Jive. Marking included Free of Charge. Clipping add $1/queen. Breeding companion queens will be number tagged and clipped free of charge. We have fused our RMR and GLSY lines into what we now call our LongeviBee line. These bees are bred in isolated mating apiaries ranging from 5000-9000′ elevation. 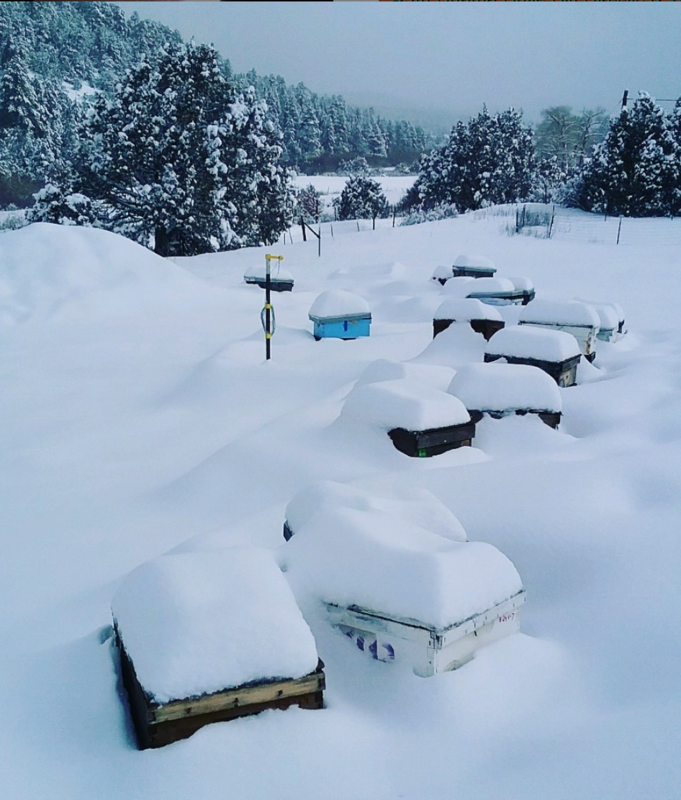 These bees and queens are selected from regionally exceptional stock and tested in valley, riparian, canyon and alpine settings over multiple seasons. These honeybees exhibit productivity, hardiness, gentleness and pest/disease resistance and excellent overwintering abilities. 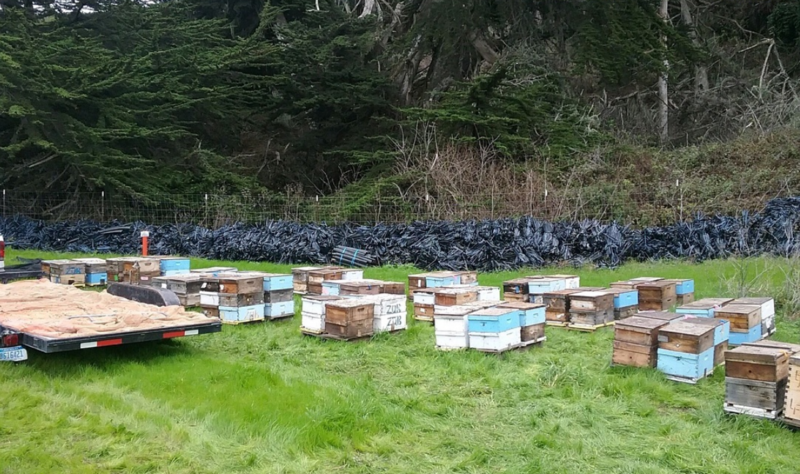 These Nor-Cal bred queen bees are a cross between our LongeviBee strains with Wings of Nature’s developing survivor stock from the Santa Cruz coastal mountains on the Bay Peninsula Preserve between Santa Cruz and San Francisco. They are excellent honey producers, pest-disease resistent, hygienic, gentle and well adapted for overwintering from low to high elevations. Our Enchanted Empress Breeding Companions are bred soley in the summer months are our most highest mating apiaries with our Drone-Mother breeder colonies. Thus, they carry the most long-lived genetics that we have to offer. They are only bred in limited quantities and are a great addition to incorporate into breeding programs, queen production and research. Queenbees from Zia Queenbee Co. produce colonies of excellent varied traits. When selecting bees, honey production is our primary concern followed by hygienics, pest and disease resistance, gentleness and longevity. Honey production is a great indicator of a good colony but hygienics and pest monitoring are vital to establishing a colony’s overall lifetime merit. A colony that has never been exposed to a pest or disease may produce well but lack survivor qualities needed to make it from year to year. Through research and experimentation, we have come to prefer Cross-stocks and appreciate their overall production in average, above average and marginal conditions. By establishing the lifetime merit of each colony thru two consecutive years of observation, we can rate the overall performance combining production and survivability to produce a better bee. 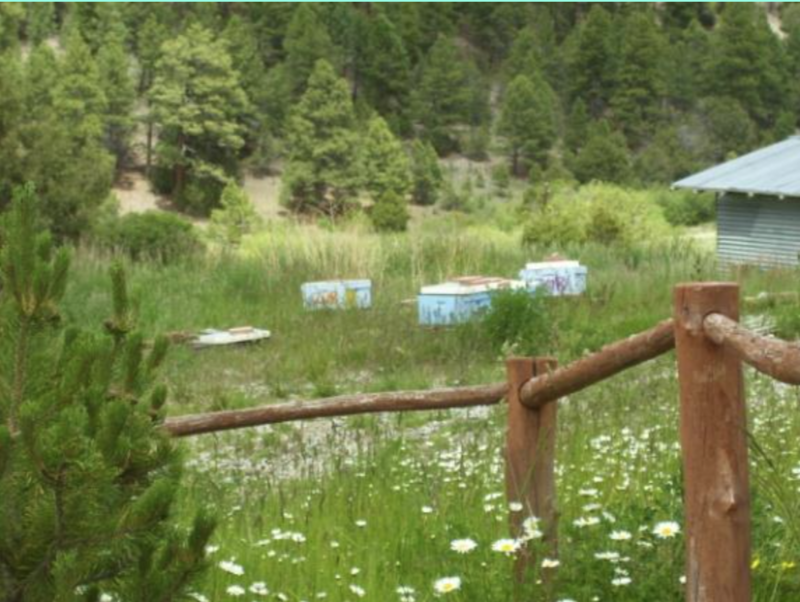 Zia Queenbee Co. does not medicate our honeybees with questionable commercial treatments. Our honeybees are healthy because they have endured Mother Nature’s survival of the fittest regimen. Therefore our superior stock, their beeswax honeycomb and their enchanted honeys are not contaminated. All their products, which they share with us and we humbly share with you, are completely natural and healthy. We do incorporate conscientious integrated pest management protocols when necessary including supplements consisting of: the Dowda method with garlic powder, grease patties with essential oils and quality bee feed (when necessary) made from quality ingredients—No High Fructose Corn Syrup! We only feed our bees what we feel comfortable imbibing ourselves. Zia Survivor breeder queens have endured the rigors of the cold/wet Great Lakes region, the cool/moist/foggy coastal conditions of the Northern California Bay area, and from the desert to tundra microclimates of the southern Rocky Mountains. They’ve survived long winters in Michigan and the intense summers in New Mexico, as well as high altitudes in the Rocky Mountains and the surf of the Pacific. 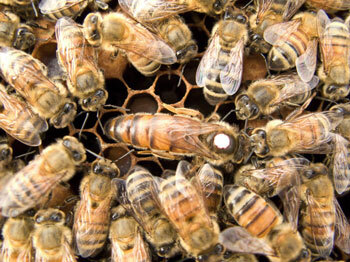 Our queens incorporate the varied genetics of diverse honeybee stock- from across the USA. We routinely purchase quality stock from various rearers and breeders nationwide every year. These purchased queens, regardless of origin, must also endure at minimum two winters. Once they have successfully overwintered and have produced well while maintaining health, vitality, and production, they are inducted as breeding contenders and begin as Mother Breeders; retiring as support Drone breeders. They must produce honeybees that routinely exhibit high productivity, endurance, gentleness, hygienics, pest/disease resistance and overwintering abilities. Grafted queens are isolated in mating yards with an abundance of regulated and selected survivor drone colonies in NorCal, New Mexico and in Michigan’s Upper Peninsula. trait, not to mention a liability. Many beekeepers and community members are concerned about Africanized honeybees (AHB) and so are we. Fortunately, New Mexico’s high elevation and lack of open water restricts the establishment of AHB within The Land of Enchantment. 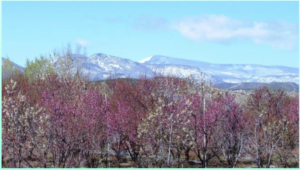 During the hot summer months, occasional AHB colonies have been identified in southern New Mexico. However, these colonies do not appear to survive the winter. 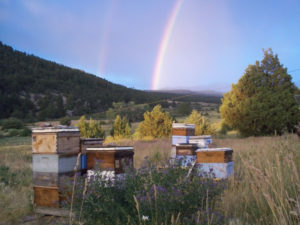 Zia Queenbees is located in northern New Mexico. AHB have never been found anywhere near our breeding operation. Beekeeping is a dying art. However, as long as we require food to eat, there will be a need for honeybees and beekeepers. As new diseases, pests and challenges afflict honeybees, we need to be innovative and dedicated to conscientious management protocols. It is imperative that we cooperate as a local, regional and national community to ensure biodiverse and positive pollinator stewardship of our lands, resources and health. 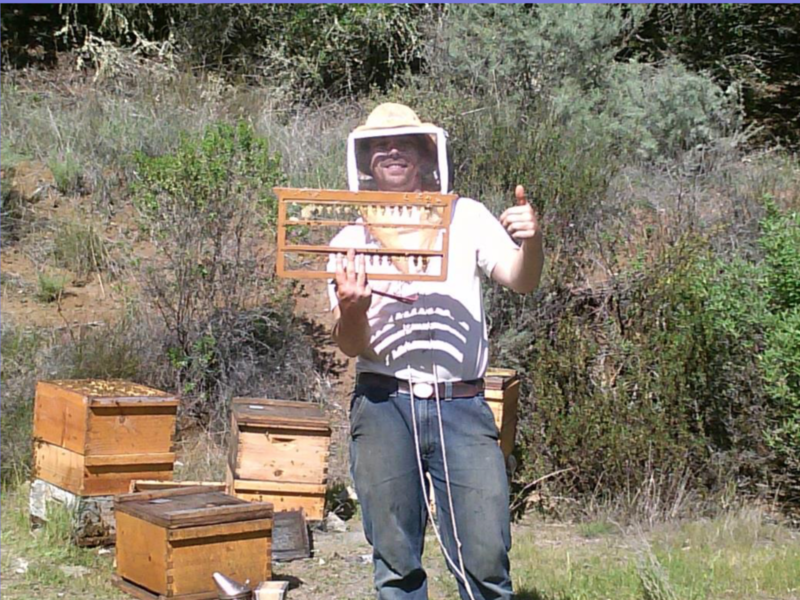 We welcome all beekeepers—new and seasoned. We are committed to sharing our experiences and knowledge of the beneficial aspects of bees and our relationship to them. 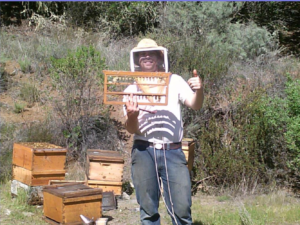 Your interest in beekeeping is appreciated.